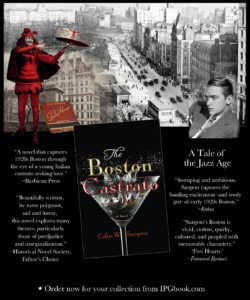 Colin W. Sargent’s The Boston Castrato does for 1920s Boston what E.L. Doctorow did for New York in Ragtime: it grabs a city out of history, mixes in some fiction and makes it vivid. 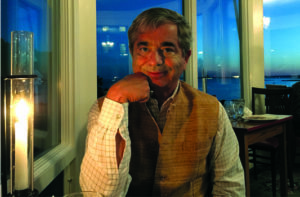 Colin W. Sargent (a relation of John Singer Sargent, who also splashes an appearance in the book) is a poet, playwright, novelist , and founding editor and publisher of Portland Magazine. As a helicopter pilot, Sargent was entranced by the slopes of Mt. Vesuvius and the Bay of Naples. A graduate of the United States Naval Academy, he has an M.F.A. from Stonecoast and a Ph.D. in Creative Writing from Lancaster University. He divides his time between the coasts of Maine, Virginia, and, when possible, the rest of the world. Watch Colin give sublimely fine answers to a readers / writer’s questions on this Youtube clip. Available in all good bookstores, US & UK, and in all ebook formats. A Writer and True Crime	What have writers from the old Soviet bloc ever done for us?